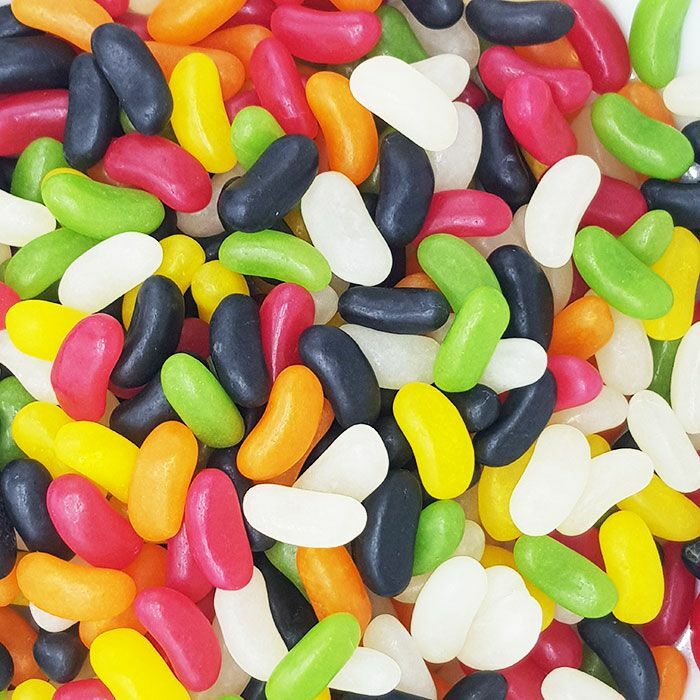 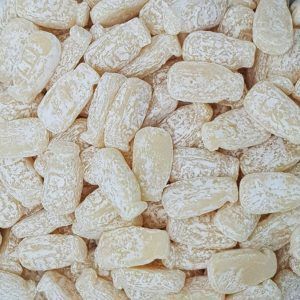 Jelly beans are soft kidney shaped sweets with a multi coloured appearance. 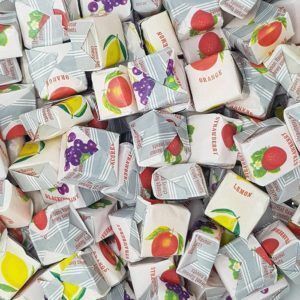 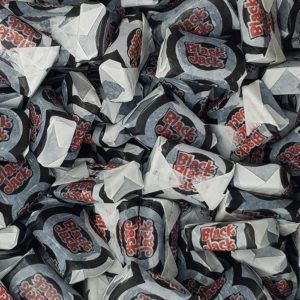 These soft sweets are fruit flavoured and loved by kids and grown ups. 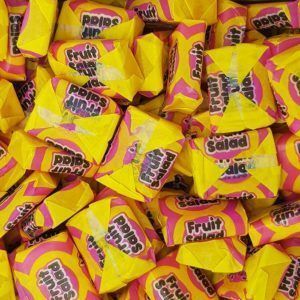 Soft and chewy, that they stick in your teeth (that’s a good thing), these are ideal for munching on whilst at the office or watching TV. Sugar, glucose syrup, cornflour, acid (citric acid), colours (anthocyanin, vegetable carbon, lutein, mixed carotenes), glazing agents (shellac, carnauba wax, beeswax), flavourings, vegetable oils (palm, coconut), stabiliser (gum arabic), plant extracts: safflower, spirulina.